The blue buttons below are for you to download the membership reports for printing them. This membership target date is important. The members who do not renew before this target date will get a renewal notice in October. Do not delay in sending in membership renewals. TO QUALIFY, MEMBERSHIP CARDS AND CERTIFICATIONS MUST BE IN STATE HEADQUARTERS ON OR BEFORE FRIDAY - NOVEMBER 15, 2018. Individual Award - Every member who has paid his/her membership dues and has those dues into State Headquarters by November 15, 2018 will be eligible to be entered into a drawing for an award. One name from each District will be drawn and presented with this award. 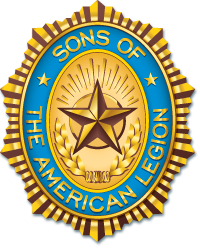 Recruiter Award - Everyone who recruits a new member by November 15th will have the recruiter's name entered into a drawing for the award of a Legion wristwatch. The recruiter's name will be entered into the drawing one time for each new member recruited. The Post adjutant or membership chairman will be responsible for reporting the names of the recruiters to State Headquarters for all new members recruited. If memberships and recruiters’ names are not forwarded in a timely manner, the recruiter’s name will not be in the drawing. District Membership Chairman’s Award - An appropriate award will go to each District Membership Chairman who has no “goose egg” Posts and has enrolled at least 75 percent of his/her District’s membership goal by the above target date. Post Award – An award plaque will go to all Posts that have met their assigned membership goal and has that membership transmitted to State Headquarters by the above target date. TO QUALIFY, MEMBERSHIP CARDS MUST BE IN STATE HEADQUARTERS ON OR BEFORE WEDNESDAY, DECEMBER 12, 2018. County Commander’s Award – An award will go to the County Commander in each of the four goal-size groups listed below that has enrolled the highest percentage of assigned membership goal for 2019 by the above listed target date. TO QUALIFY, MEMBERSHIP CARDS AND CERTIFICATIONS MUST BE IN STATE HEADQUARTERS ON OR BEFORE WEDNESDAY, JANUARY 17, 2019. Post Award - A special award will go to all Posts with five or more consecutive years at or beyond 90 percent of goal, including 2019, by this target date. Plaques and framed citations will be awarded for 5, 10, 15, 20, 25, 30, 35, 40, 45, and 50 consecutive years with attachments awarded for each intermediate year. Honor Ribbon Award - A Post honor ribbon will be awarded to all Posts whose 2019 membership by this target date exceeds the total 2018 membership. Meritorious Service Certificate - A Post will receive a certificate of meritorious service for equaling or surpassing its previous all-time high membership by this target date. District Commander’s Award - An appropriate award will go to each District Commander whose District has no “goose egg” Posts and the District has enrolled at least 90 percent of its assigned 2019 membership goal by this target date. State Vice Commander’s Award – An appropriate award will go to each State Vice Commander whose Area has enrolled at least 90 percent of its assigned 2019 membership by this target date. TO QUALIFY, MEMBERSHIP CARDS MUST BE IN STATE HEADQUARTERS ON OR BEFORE WEDNESDAY, FEBRUARY 13, 2019. Post Award – A “WE WILL LEAVE NO VETERAN BEHIND” award will be presented to every Post that has attained 100% of its 2019 membership by this date. TO QUALIFY, MEMBERSHIP CARDS AND CERTIFICATIONS MUST BE IN STATE HEADQUARTERS ON OR BEFORE WEDNESDAY, MARCH 13, 2019. Convention Hall Seating - District delegations will be assigned seating area in the convention hall in order of assigned membership goal by The American Legion Birthday Target Date. Post Go-Getter Medallion - Each Post that reaches or exceeds 95 percent of its assigned 2019 membership goal by The American Legion Birthday Target Date will receive a Post Go-Getter Medallion. Special Go-Getter Recognition - Go-Getters enrolling 25, 50, 75, and 100 members are eligible for special recognition. First time Go-Getters will receive a special award. Continuous Go-Getter Award - Legionnaires with five or more consecutive years as a Go-Getter, including 2019, will receive an award signifying this record. (5, 10, 15, 20, 25, 30, 35, 40, 45, & 50 years). Special Award for the District Commander who has the highest percentage, above 75%, of the Posts within his/her District nominating Post Legionnaires of the Year for District recognition. TO QUALIFY, MEMBERSHIP CARDS MUST BE IN STATE HEADQUARTERS ON OR BEFORE WEDNESDAY, MAY 8, 2019. District Commander’s Award - Every District Commander with a 2019 District membership by this target date that equals or exceeds that District’s membership at the 2019 State Convention delegate strength target date will receive an award from the State Commander. Area Award - The State Vice Commander with a total Area membership for 2019 by this target date that is the highest percentage of the Area’s assigned membership goal will receive an award from the State Commander. Consecutive Years All-Time High Post Award - A citation will be awarded to each Post that has five or more consecutive years at all-time high membership by this target date. Posts with more than five years consecutive all-time high performance will receive a citation from National Headquarters for each year that it continues to register an all-time high. District Commander Achievement Award - This award is earned by each District Commander whose District membership exceeds its 2019 membership by at least one per Post. The award is a plaque. All Posts Adjutants are able to log into MyLegion.org and process memberships for their post online! You will be able to send your membership directly to National without having to mail any membership card sheets to State Headquarters. Save your money spent on postage and envelopes. This allows a bank to bank transfer to happen just like companies that do “online bill pay”. Electronic check (Echeck) is the only payment method available when using this feature. The account must be a valid business checking or savings account held with a US Bank. Significantly improves membership processing time and the benefits are activated much quicker for the member. Renewals/New Member submissions take place in 5-days or less … as opposed to 5+ weeks. Significantly improve Customer Service by eliminating unnecessary renewal notices and complaints by members.